Two very contemporary new timepieces have joined the ranks of the popular Marine Torpilleur class. Classic black or gunmetal grey, these lean clean modern machines are every bit as sleek and streamlined as the navy destroyer class of torpedo boats from which they take their name. Initially launched with white or blue dials, the Marine Torpilleur fleet is now reinforced with two stunning new editions: rose gold with black and gold dial; and a Boutique-only version in stainless steel with grey dial. Elegantly elongated Roman numerals mark the hours. The graceful, poire-style hands are in rose gold colour, as are the ‘Haut’ (high) and ‘Bas’ (low) indications of the power reserve. 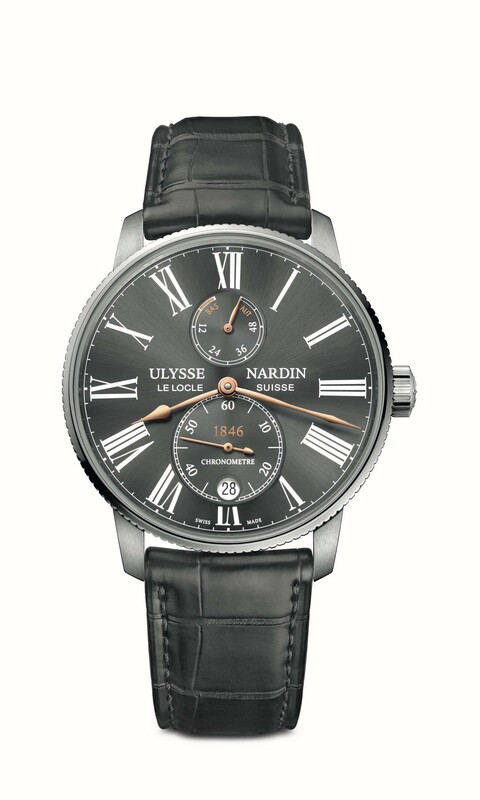 The crown is screw-down and engraved with the Ulysse Nardin logo. The small seconds counter at 6 o’clock encircles the date window and the “1846” logo—a stylish nod to the year the house was founded. The luxury straps are in perfectly matched alligator. “Yet it traces its heritage back to two breakthrough innovations of the early nineteenth century. 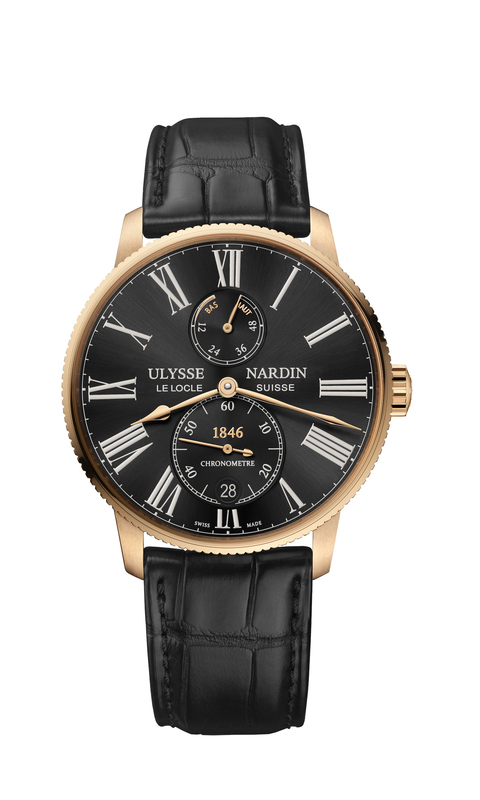 The first Ulysse Nardin aficionados know well—the house’s famous pocket chronometer. Its unprecedented reliability and precision helped open the world’s oceans to sea-going merchants, navigators and adventurers. The second innovation was the Torpilleur. Fast, agile and armed with a new weapon—the self-propelled torpedo.